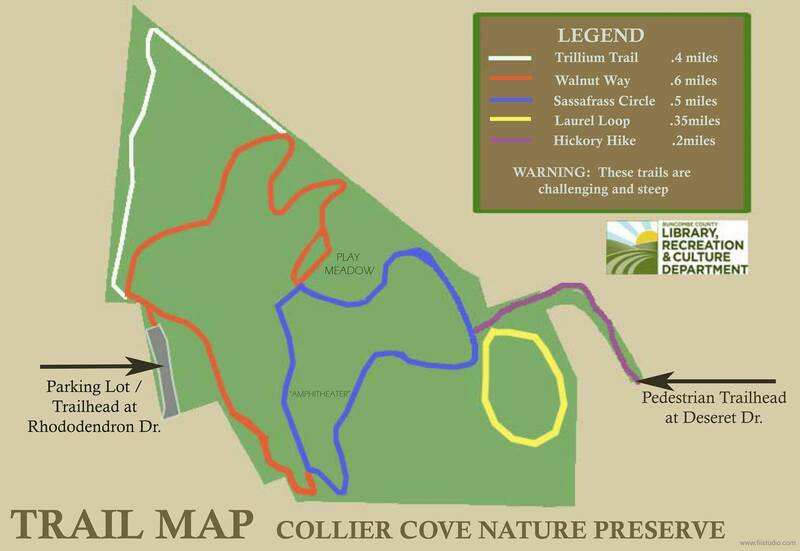 Below is the Facebook link and trail map for Collier Cove Nature Preserve (194 Rhododendron Drive in Arden) that Marian mentioned during her talk. Directions: From Sweeten Creek Road, turn onto Royal Pines Drive. Turn left onto Locust Court and go up until you come to a T intersection. Turn left. As you continue to drive think, “Always up”. You will go around two large bends. First to the right and then to the left further up. As you finish the second large turn, you are on Laurel Road which ends in a T intersection. Turn right on Rhododendron Dr and go to the end of the road. You will see the sign for Collier’s Cove. Stay to the right to reach the parking lot. This entry was posted in Indoor Meeting and tagged WCBC. Bookmark the permalink.